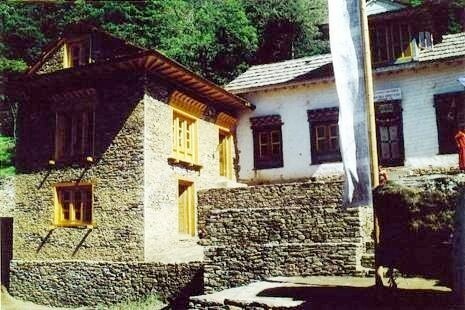 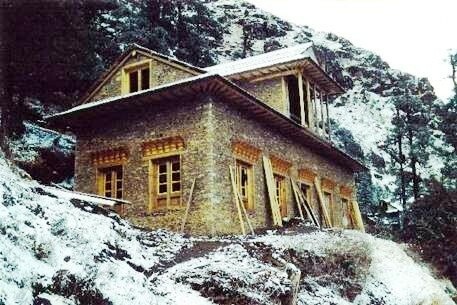 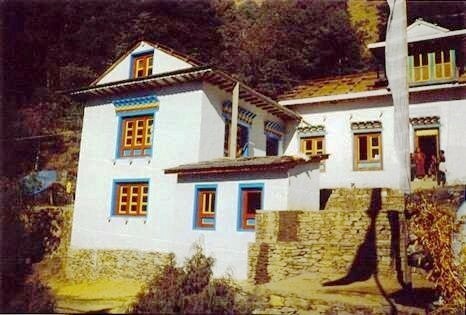 Junbesi – the main village of Solu, of the southern and most ancient area of Sherpa settlement. 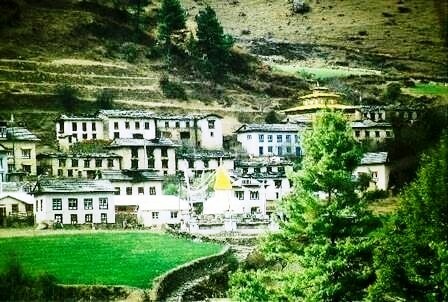 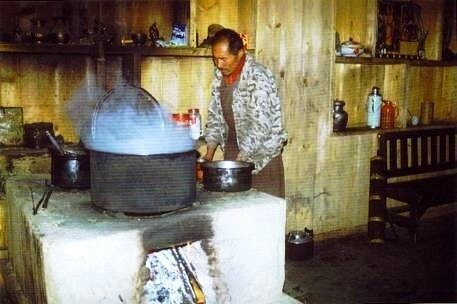 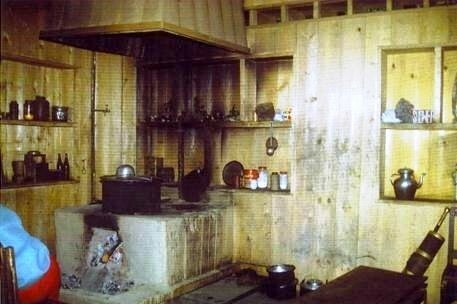 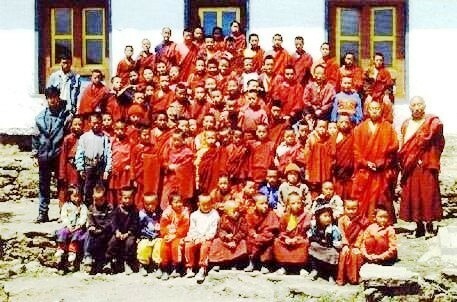 Junbesi is the centre of Sherpa culture. 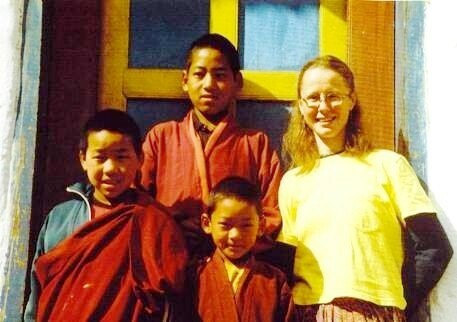 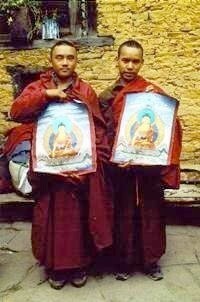 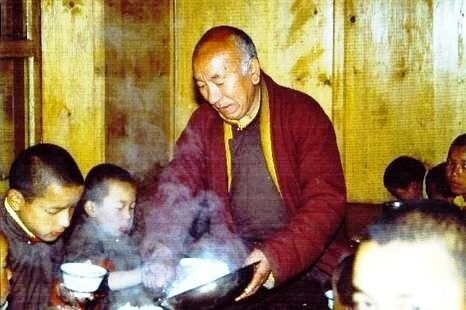 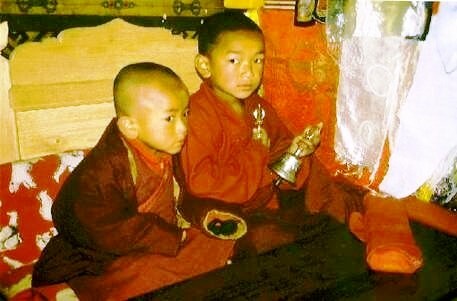 These two modest brothers are Tulku, reincarnated Lamas. 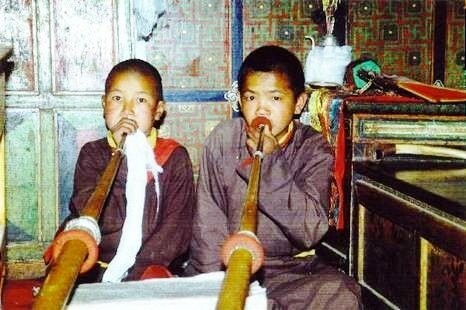 They are about six and nine years old (1997). 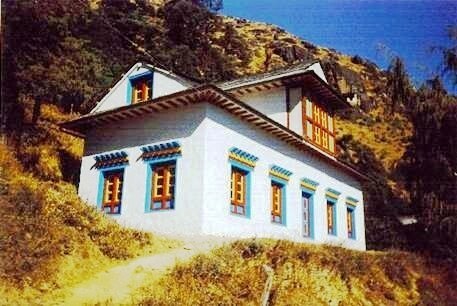 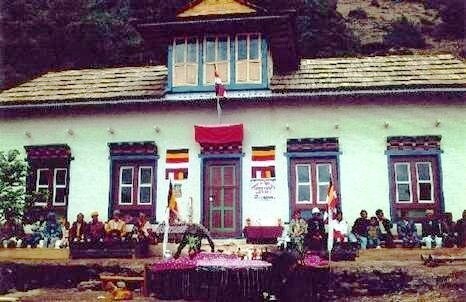 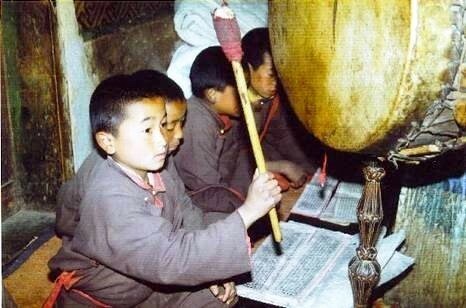 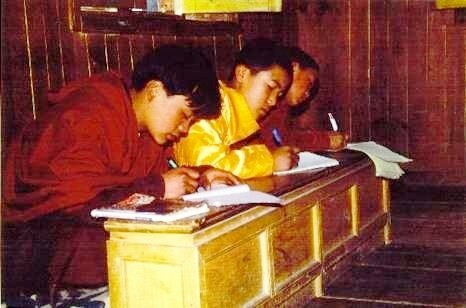 In the Gonpa, our chapel, they sit on a raised seat of honour. 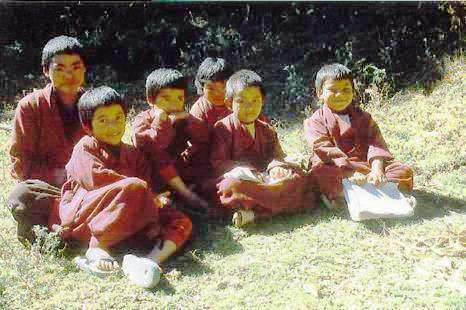 Otherwise, they fit imperceptibly into day-to-day school life.